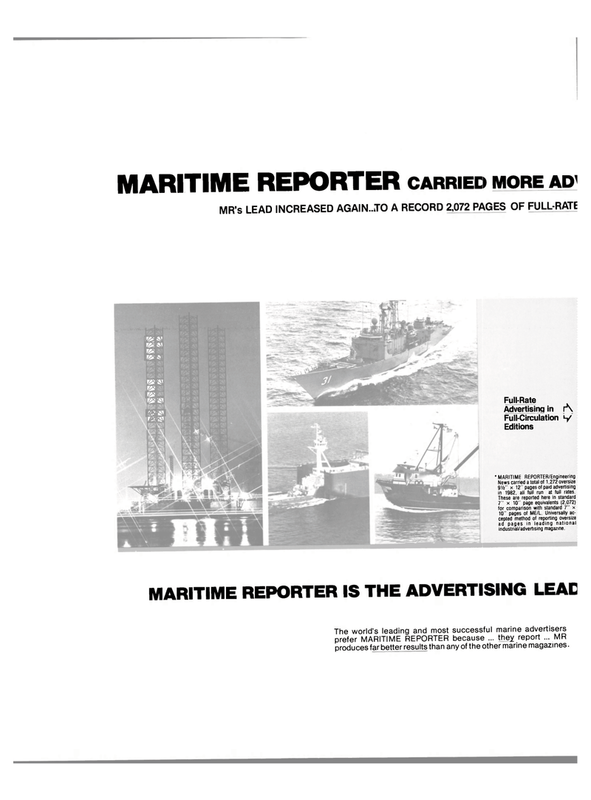 News carried a total of 1,272 oversize 9V4" x 12" pages of paid advertising in 1982, all full run at full rates. These are reported here in standard 7" x 10" page equivalents (2,072) for comparison with standard 7" x 10" pages of ME/L. Universally ac- cepted method of reporting oversize ad pages in leading national industrial/advertising magazine. The world's leading and most successful marine advertisers prefer MARITIME REPORTER because ... they report ... MR produces far better results than any of the other marine magazines.